If you’re the tenant of a private landlord and you have rent arrears, your landlord will probably try to evict you. To do this, they will need to follow a procedure which involves getting a court order. They can’t make you leave your home without getting a court order first, although in some cases you may want to leave before they do this. If your landlord tries to force you to leave your home without getting a court order first, this is against the law. Many tenants of private landlords are assured shorthold tenants. Are you an assured shorthold tenant? you don’t share any accommodation with your landlord. extend the tenancy on a rolling basis, from one week or one month to the next, without signing a new tenancy agreement. If you have signed up for a fixed number of months which has not yet come to an end, this is known as a fixed term assured shorthold tenancy. If the fixed term tenancy has come to an end but the tenancy has continued on a rolling basis, this is known as a periodic assured shorthold tenancy. Will you get notice to leave if you have rent arrears? Your landlord must issue you with a written notice to leave your home. For assured shorthold tenants, the notice could be either a section 21 notice or a notice seeking possession. If your landlord gives you a section 21 notice this gives them an automatic right to possession of your home. They don’t have to give a reason for wanting to evict you. A section 21 notice is often followed by an accelerated possession procedure. you live in a house in multiple occupation (HMO) for which a licence is needed but your landlord hasn’t got one. If your landlord gives you a notice seeking possession it means that they have to give a reason, called a ground for possession, for wanting to evict you, for example, rent arrears. A notice seeking possession is followed by the standard possession procedure. How much notice will you get to leave? If you receive a section 21 notice, it must give you at least two months’ notice and say that possession is required. If the amount of time between your rent payments is longer than two months, the notice your landlord gives you must be as long as the time between rent payments. For example, if you pay your rent every three months, the notice must be three months’ long. If you receive a notice seeking possession and the reason given on the notice is rent arrears, the notice period must be for at least two weeks. What happens when the notice runs out? Once the notice period has run out, your landlord can apply to court for an order to evict you. This order is called a possession order. The court will send you papers, informing you that your landlord has applied for a possession order. Sometimes, this will be the first warning you get that your landlord wants to evict you. This can be the case where the section 21 notice was given to you at the beginning of your fixed term tenancy. Your landlord might have done this because it would make it easier for them to evict you if they want to at the end of the tenancy. There are two types of possession procedure – the accelerated possession procedure and the standard possession procedure. The accelerated procedure allows your landlord to recover possession of your home more quickly than with the standard procedure. It is quicker because if your landlord meets certain requirements and the claim is not disputed, there will be no court hearing. Many landlords use the accelerated possession procedure because it is more straightforward. However, under this procedure your landlord can only claim possession of your home – they cannot claim for anything else, such as rent arrears. If your landlord wants to claim rent arrears they either have to use the standard possession procedure, or use the accelerated procedure to get the property back and make a separate court claim for the rent arrears. They have given you the correct notice to leave. If you think your landlord is trying to use the accelerated possession procedure when they’re not supposed to, you may be able to stop the eviction from going ahead. However, your landlord will probably be able to take other action to evict you. Will you get a chance to defend the claim? The court papers you receive will include a form for you to fill in and return to the court. This is called a defence form. You can use this form to defend your landlord’s claim for possession if you want to. If you want to return the defence form, you must do this within 14 days of it being sent to you. If your landlord is using the accelerated possession procedure, you can only defend the claim if your landlord hasn’t given you the proper notice or if they’ve used the procedure when they’re not supposed to. If you don’t have a good reason for defending the claim, you should think seriously about moving out by the date the notice runs out. However, if you’re going to be homeless, it may be difficult to do this. You might need to get advice about whether you have a defence against your landlord’s claim for possession. You can get advice from your local Citizens Advice Bureau. To search for details of your local CAB, including those who can give advice by email, click on nearest CAB. If the accelerated possession procedure is being used then it’s unlikely that there will be a court hearing. There will only be a chance of having a hearing if you return the defence form. If you return the defence form, a judge will look at what you’ve put on it and consider whether or not there needs to be a hearing. They will only decide to have a hearing if your landlord has not followed the correct procedure, or if you say that your landlord has put wrong information on the claim form. If there is a hearing, it’s a good idea to get advice from an expert housing adviser. If you don’t return the defence form, the judge will make a decision about whether to evict you based only on what your landlord has told the court. If the judge decides your landlord has followed the correct procedure, they will grant a possession order. This will usually say you have to leave the property within 14 days. However, if you have nowhere else to go and the council does not have to rehouse you, you can ask for the eviction to be delayed. The court papers you receive will include a claim form which will give a date and time for the possession hearing. If you don’t intend to defend the claim, then it’s likely that the case will be decided at this hearing as long as there is enough evidence before the court to make a final decision. It’s best to attend the court hearing. This is so that you can find out what the judge orders. Also, if you want to defend the claim then you need to go to court so that you can argue your case and possibly get a chance to affect the outcome. It’s a good idea to get advice from an expert housing adviser before you attend the hearing. When your landlord applies for an order to evict you, in some cases the court must decide if it’s reasonable to make a possession order. However, in other cases, if your landlord can show that a certain amount of rent was owed when the notice was served and at the date of the court hearing, the court usually has no option but to make a possession order. For more information about the court hearing under the standard possession procedure, see You are taken to court for rent arrears. Will you have to pay back the arrears? If your landlord uses the accelerated possession procedure to evict you, this only means you have to leave the property, it doesn’t mean you have to pay back the rent arrears you owe. However, your landlord might apply for a separate court order which forces you to pay back what you owe. This court order is called a money judgment. If your landlord uses the standard possession procedure they are likely to ask the court to give them a possession order on your home as well as a money judgment. It means you will have to pay the landlord back the money you owe them, even if you’ve left the property. What if you don’t leave by the date on the possession order? The possession order may require you to leave your home by the date on the order. If you don’t leave the property by the date on the order, your landlord can apply to the court for a warrant of possession and you will be evicted by bailiffs. If you have nowhere else to go, you might want to think about asking the court to give you more time before you have to leave. You should do this on the defence form you are sent by the court before the possession order is granted. A court does have the power to delay the eviction, but only for a maximum of six weeks (42 days). You would have to prove that leaving by the date on the possession order would cause you exceptional hardship. It’s up to the court to decide whether to allow you extra time before you have to leave. This can be decided with or without a court hearing, depending on how your landlord filled out their original application to the court (claim form) to have you evicted. What if you’re going to be homeless? If you’re going to be homeless, it’s possible the council will have to rehouse you. If you think the council may have to rehouse you, you should not move out until the council has confirmed in writing that they are going to rehouse you. This will stop them from finding you intentionally homeless. 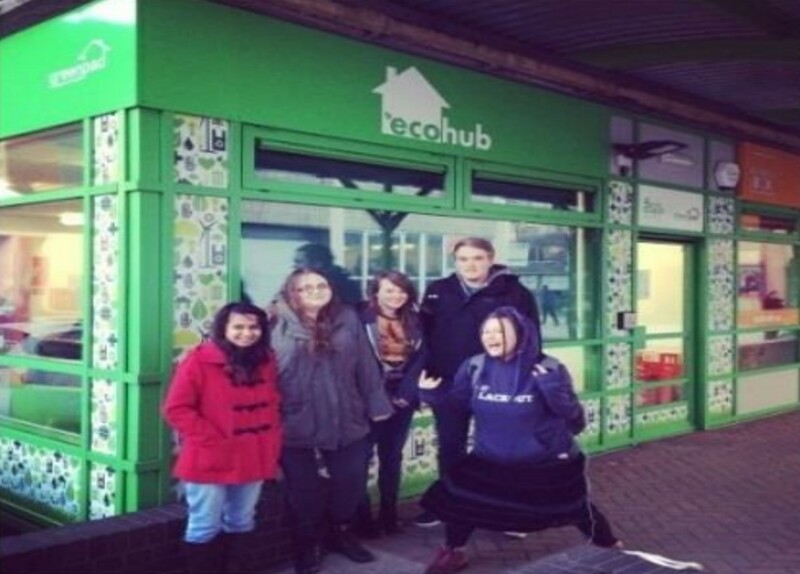 The council does not have to rehouse everyone who is homeless. If you’re going to be homeless but you don’t think the council will have to rehouse you, you might want to ask the court to delay your eviction on the grounds of exceptional hardship. You can do this by filling in the defence form. With many assured shorthold tenancies, you sign up for a fixed number of months to begin with. This is often for a period of six months but it can be longer. In many cases, if you get into rent arrears during this period, your landlord may just wait until the fixed term has come to an end and then follow a legal procedure to evict you beginning with giving you notice. If your landlord wants to evict you before a fixed term has come to an end, they cannot use the accelerated possession procedure. Your landlord is more likely to want to evict you before the end of the fixed term if it lasts longer than six months. In these circumstances, your landlord will need to use the standard possession procedure to evict you and give the court a reason why they want to evict you. What can you do to stop your landlord evicting you? If your landlord wants to evict you because of rent arrears, you could try contacting them to see if you can get them to change their mind. This might be worth a try, particularly if you’re in a position to pay back your arrears and keep up with your rent payments.